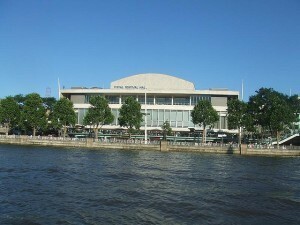 A Southbank street performer has been jailed for a minimum of four and a half years after a vicious attack on a rival. The incident, which occurred last summer, involved a man dressed as an 'invisible king' clobbering a living statue in the guise of a 'silver wizard'. What sounds like a superficially amusing story turns out to be pretty grim. Rumen Nedelchev (the argent sorcerer) suffered a severely fractured skull and spent three months in hospital. His assailant, Dechko Ivanov, bashed his victim over the head with a concrete block before 'calmly' cycling away. The two, who lived together in South London, were at loggerheads over a lucrative pitch. Mr Nedelchev now carries a 14-inch scar under his hat, but is back performing on the Southbank. Drop him a smile and some coins next time you're passing.